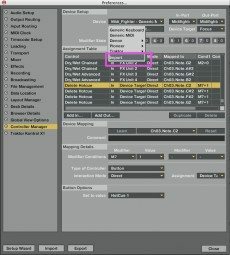 The TSI file is a map that connects your controllers’ physical knobs and buttons to Traktor’s virtual controls. We publish a few carefully maintained TSI files on our mapping page, and in the forum there are large amounts of user files that demonstrate many different ways that a person can use their controller. 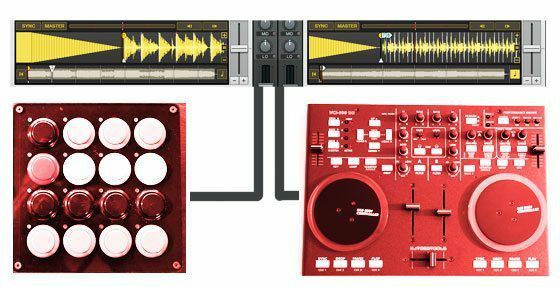 Importing the TSI file will set up all the connections for you, so the new DJ can get started on the road to Controllerism without a huge learning curve. You have searched through the forums and found a TSI file for both controllers you have or possibly even built a few of your own. Chances are there might be a few conflicts between the files where each controller sends out similar MIDI messages, triggering the wrong functions. There is a simple way to fix this issue: You just need to know how to import the files. 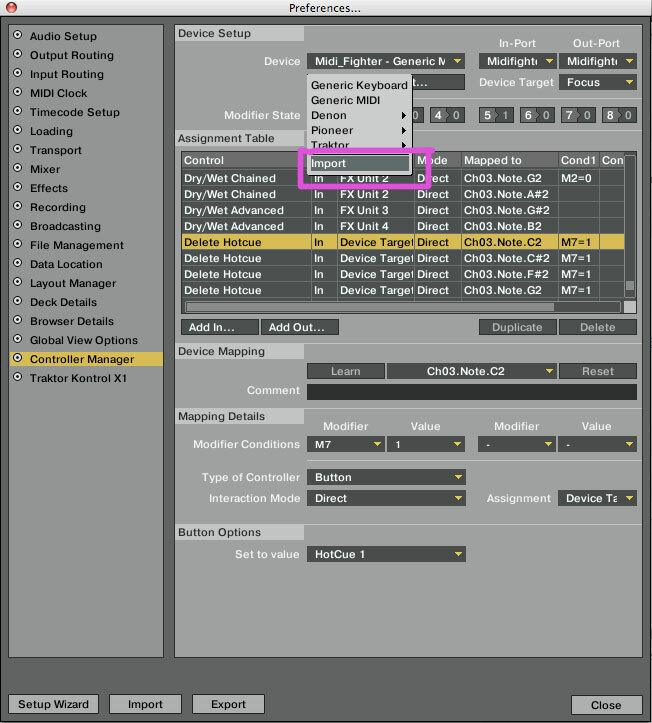 Using the large import button allows you to bring in more than just the controller settings, including things like FX, layout, and Traktor settings that the mapping designer may require for everything to work perfectly. If you bring in a mapping using this button, it will overwrite all other mappings. This option will only add the mapping to the pre-existing mapping list and won’t overwrite anything. You can only bring the mapping settings in using this button. No other settings will be imported. To avoid conflicts between controllers, you need to specify what controller will be routed to each mapping. This will separate the controller from the others avoiding any conflicts. The Controller must be plugged in to show in the list. Make sure to select the controller for both IN and OUT ports. Congratulations! You have successfully loaded 2 TSI files- add as many more as you see fit.